Many marketers have tech stacks that go beyond simply being a system; they’re practically living organisms with powerful brains of their own. But others have a difficult time applying their hard-earned data and clever personalization techniques to every channel, including direct mail, which is experiencing something of a resurgence thanks to the availability of data. Of course, it’s not that these teams don’t want to personalize these channels. It’s that they’re often forced to cede control of their campaigns to outside vendors. After all, most teams don’t have a film studio or print shop in-house. But with the right technology, such as Sailthru’s new Inkit integration, that gap can be bridged. Part of Sailthru’s power comes from its lists — not just regular contact lists you grow or upload, but Smart Lists, which add users dynamically based on complex behavioral criteria. Purchases, email engagement, site activity: You can track it all, and tailor your digital content to match. 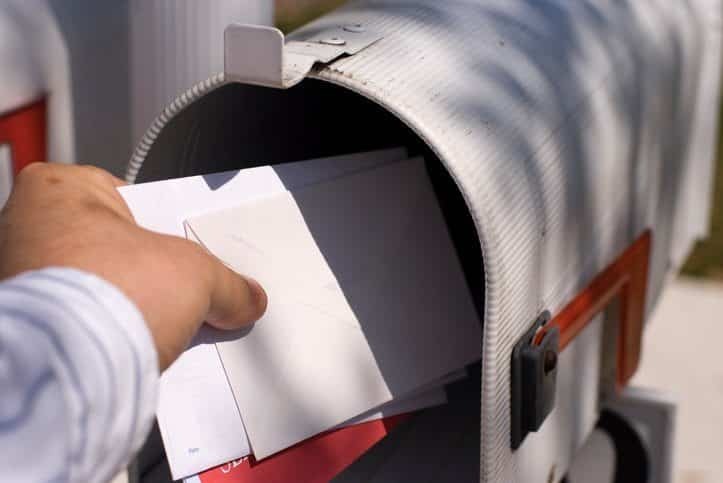 The Inkit integration lets you get just as targeted with direct mail. 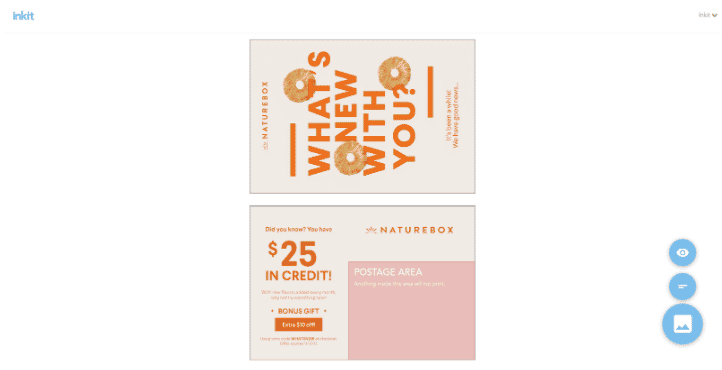 No matter how small or precisely defined your Sailthru list may be, you can now use it to create an Inkit postcard campaign. Integrating Sailthru with Inkit takes about 30 seconds. 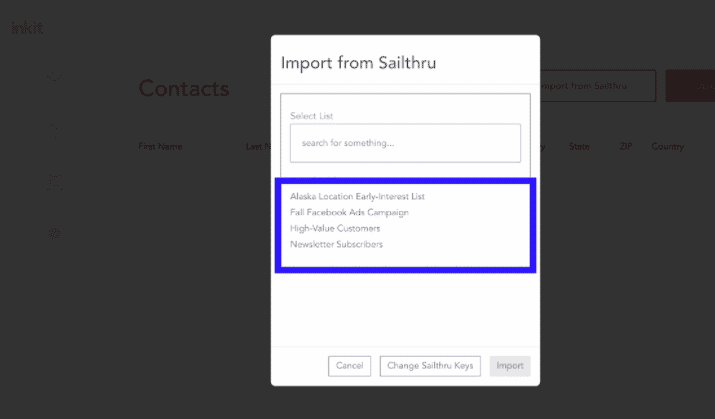 Once you’ve connected the two accounts, you’ll be able to access your Sailthru lists inside Inkit and add those contacts to a direct mail campaign. Once you connect your account, your Sailthru lists will pop right up inside Inkit. Sailthru’s Smart Lists are a great way to dynamically build a direct mail audience of disengaged customers using whatever behavioral signals spell trouble for your business. For instance, you could set up a Smart List that pulls in contacts who have recently stopped opening your emails or uninstalled your app. Then, you can instantly pull that list into Inkit and send a winback offer like this. It makes sense to pamper your best customers a bit. 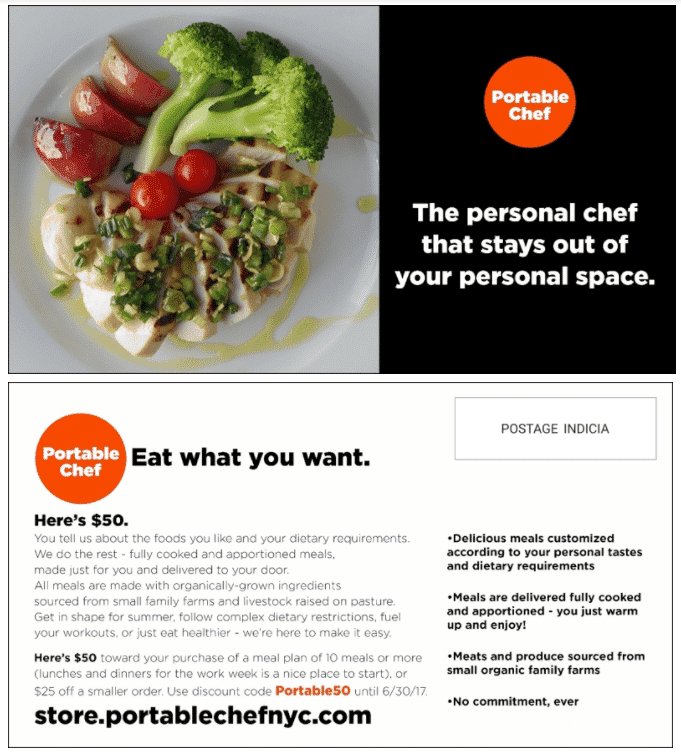 In addition to personalizing the digital content they see, make them feel extra special with postcards. Once you’ve built your list of top customers in Sailthru, log into Inkit and get ready to make their day. You might send them an exclusive offer, wish them a happy birthday, or just say thanks for being there. Suddenly, you’re everywhere. That’s the magic of retargeting campaigns on Facebook and Instagram. They’re an excellent tool for increasing order frequency and value on their own. They get even better when you add postcards into the mix. The Inkit/Sailthru integration makes this a snap: just use the same Sailthru list you’ve built for your retargeting audience for your Inkit direct mail campaign. Direct mail research supports this multi-channel approach. For instance, when Canada Post studied the combined effects of direct mail and digital advertising in 2016, they discovered that direct-mail-plus-digital campaigns got 39% more attention, produced 5% more emotional impact, and produced 10% higher brand recall than digital-only campaigns. 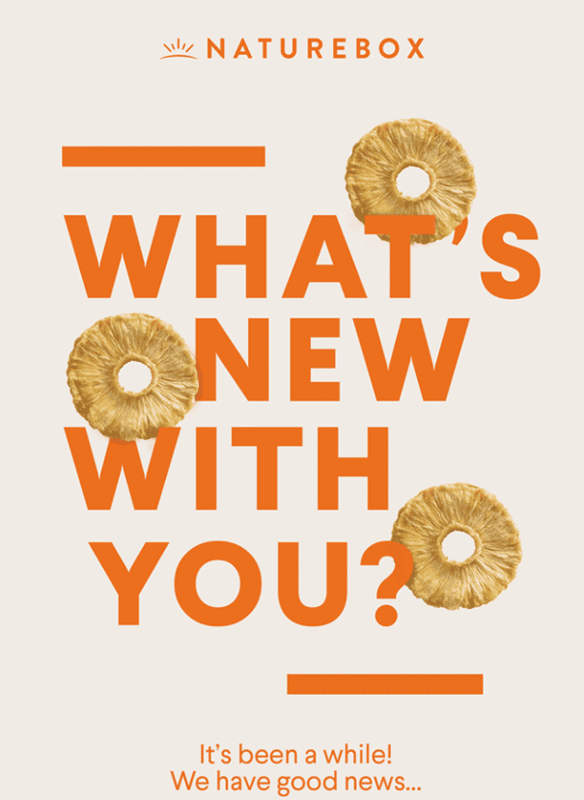 As long as you have names and addresses, you can send your audience uncannily perfect postcards and mailers, segment by laser-focused segment. Sailthru handles the targeting. Inkit handles the direct mail logistics. And your team handles the creativity — and the accolades when your campaign is a hit.